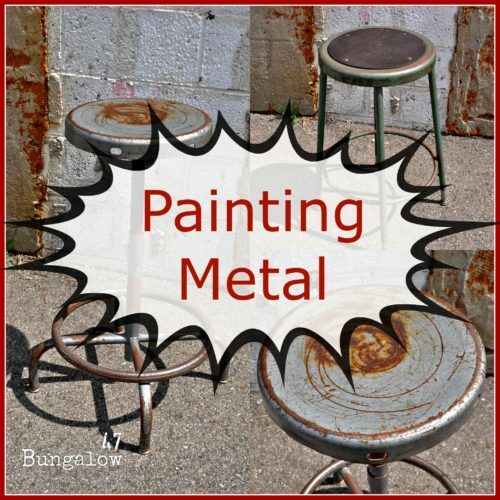 Painting Furniture… or Should I Say Painting Metal?! Wondering what chalk type paint can be used on? Well… it will adhere wonderfully to most surfaces. Wood, laminate, formica, glass, ceramic and even metal. However, a good thing to keep in mind is, while chalky paints will adhere to most surfaces it will not block oil or grease stains on your pieces so be sure to wash your items well before you begin painting. Painting metal is just as easy as painting wood. 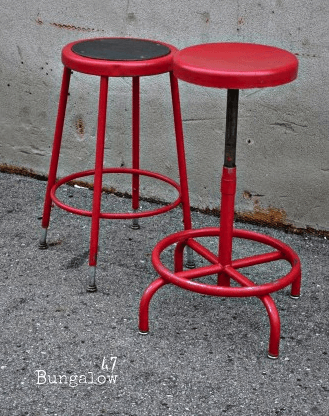 These stools were purchased for a kitchen bar area. They’ve seen better days. 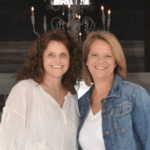 With a little lovin’ using chalk type paint products they will be looking fabulous in no time. Remember… the first thing to do is give them a scrubbin’. Then go ahead and start painting. This is a dear friend of mine. The stools are hers, lucky duck! She’s been going through a rough patch of her own lately and when that happens… sometimes all you can do is paint! So as soon as our paint arrived she was at the store with paint brush in hand ready to bust into the new colors. I was excited to see her using red, and all she needed was a sample size amount of paint. 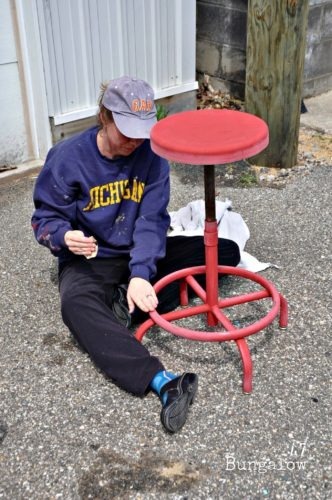 With one sample she was able to finish up both stools and with only one coat on each stool. 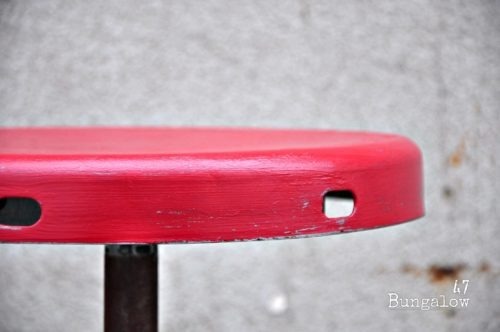 For added durability, she finished the red on the stools with a poly coat finish. 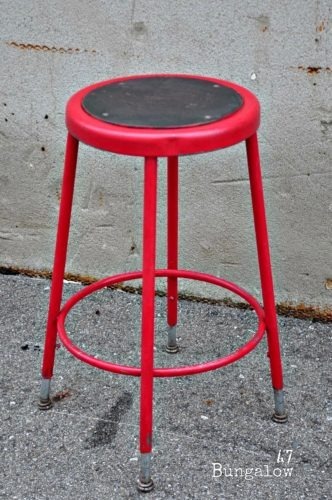 The finished stools look amazing and will add just the right amount of red to her kitchen area. Great job Sally!! Can’t wait to get ours! 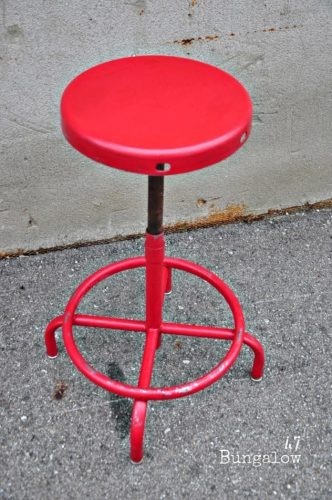 The stools look awesome and I love the red!! How long will that paint hold up with such use? Those stools are great! Wow!! This is such an awesome creativity, I liked these pieces!! 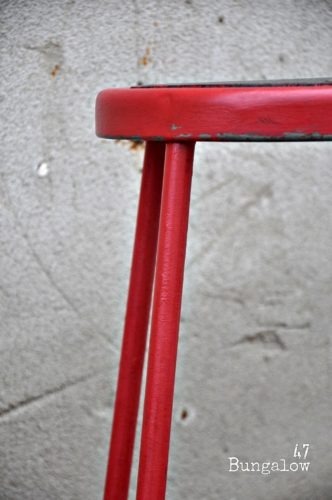 What a transformation that red paint made out of those barstools. Great job!